DO is the amount of oxygen that is present in water and is measured in milligrams per liter (mg/L). Adequate DO levels are required to sustain life in aquatic organisms and vary by species, the organism’s life stage, and water temperature. The amount of DO that water can hold depends on the physical conditions of the body of water (water temperature, rate of flow, oxygen mixing, etc.) and photosynthetic activity. Colder water has higher DO levels than warmer water. 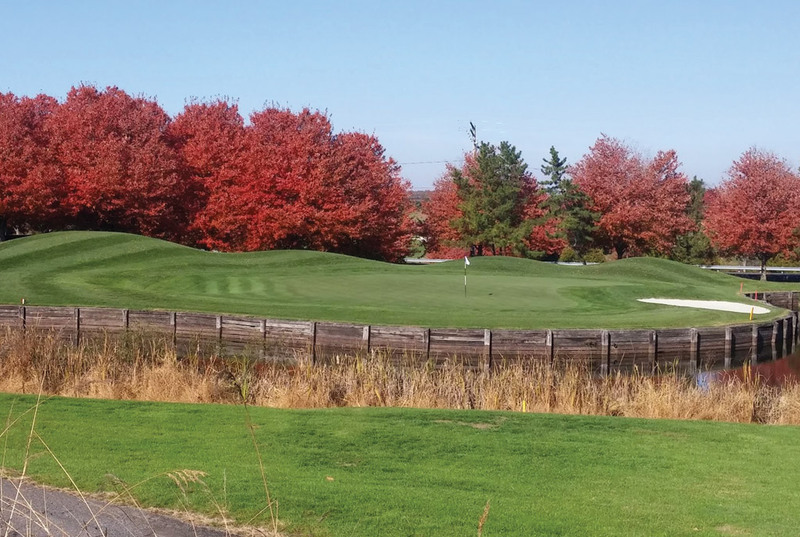 DO levels will also differ by time of day and by season as water temperatures fluctuate. Similarly, a difference in DO levels may be seen at different depths in deeper surface waters if the water stratifies into thermal layers. Flow rates influence DO levels. For example, fast-flowing streams hold more oxygen than impounded water. Photosynthetic activity also influences DO. As aquatic plants and algae photosynthesize during the day, they release oxygen. At night, photosynthesis slows down considerably or even stops, and algae and plants pull oxygen from the water. In impoundments with excessive plant and algae growth, several cloudy days in a row can increase the potential for fish kills during warm weather. Therefore, preventing excessive aquatic growth by preventing nutrient enrichment will help maintain DO levels. Establish DO thresholds to prevent fish kills, which occur at levels of 2-3 mg/L. Reduce stress on fish by keeping DO levels above 5 mg/L. Use artificial aeration (diffusers) if needed to maintain adequate DO. 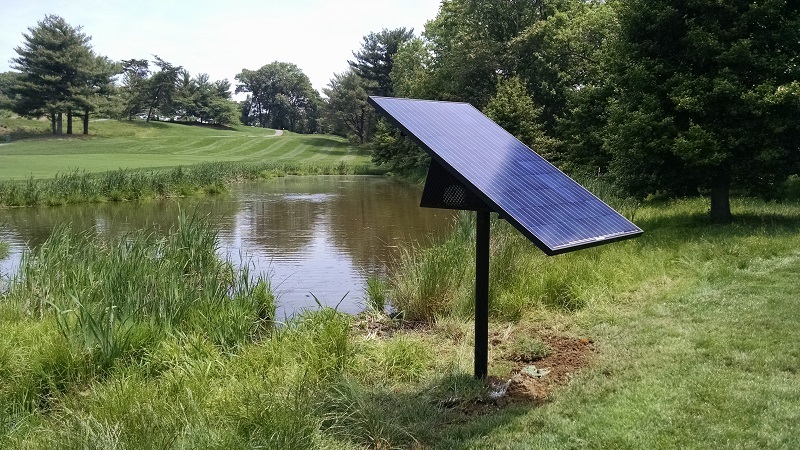 Artificial aeration helps to maintain DO levels, like this solar powered sub-surface aeration system in use at the Army Navy Country Club. Photo credit: Sandra Burton.